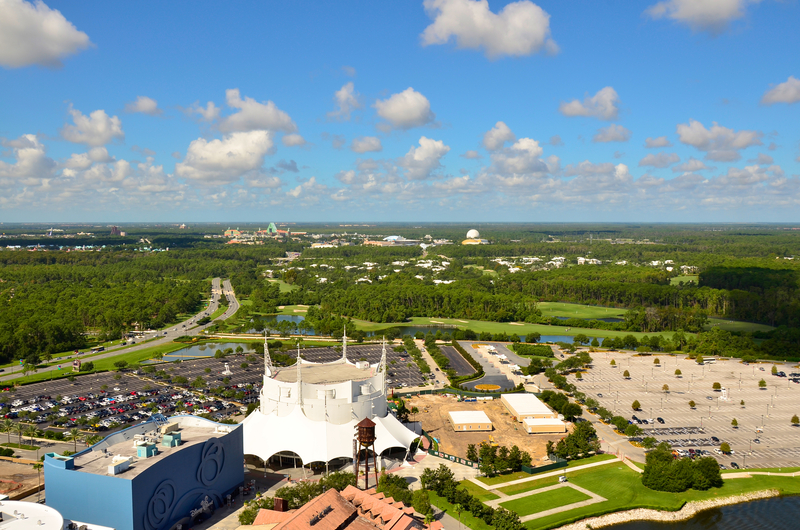 Today Marc shares a photo of Epcot as seen from 400 feet up in the Characters in Flight hot air balloon. 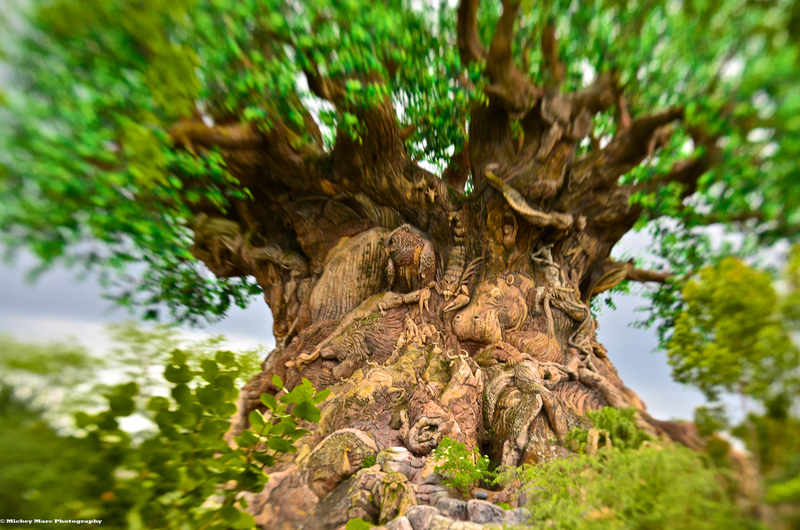 My daughter and I enjoyed this attraction together and it is definitely a “must do” for your next trip if you haven’t experienced it yet. 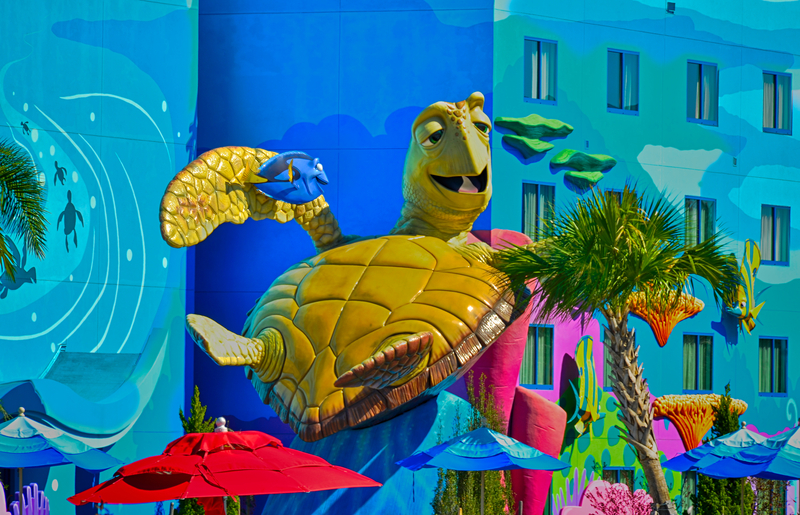 Today Marc shares a photo of Crush in the Finding Nemo section of Disney’s Art of Animation Resort. 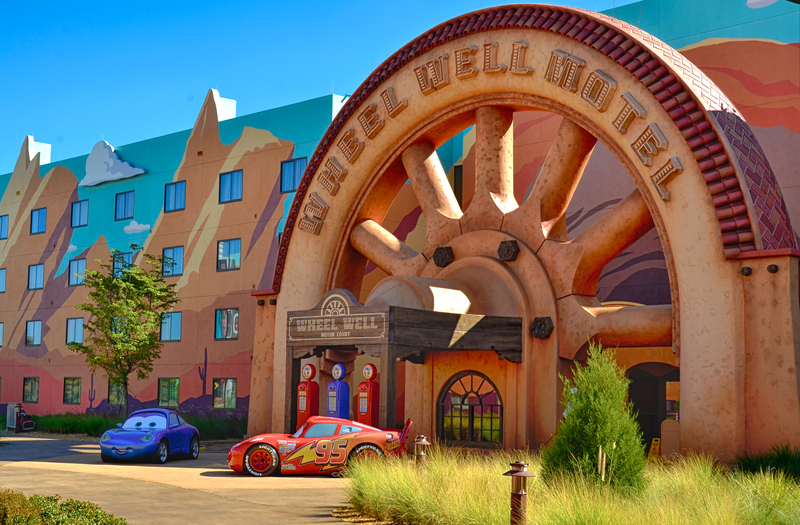 Today Marc shares a photo from the Cars section at Disney’s Art of Animation Resort. 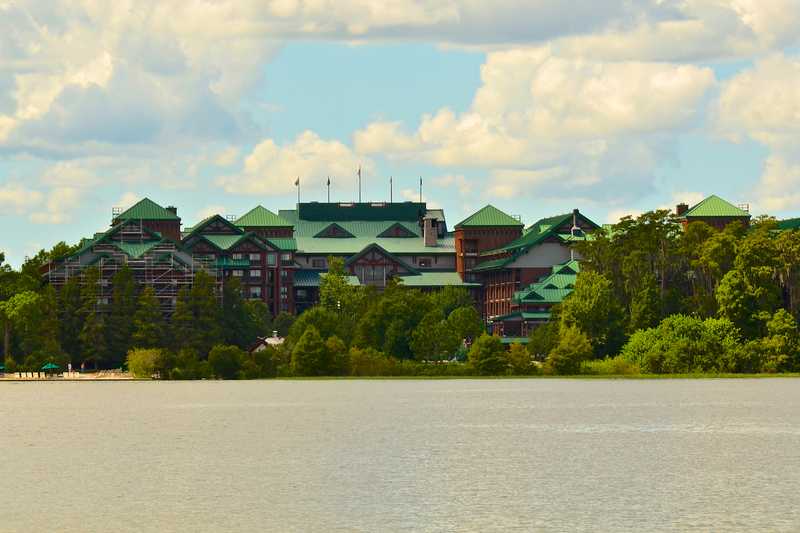 Today Marc shares a beautiful shot of Disney’s Wilderness Lodge as seen from Bay Lake. This gorgeous, rustic resort is one of my favorites. 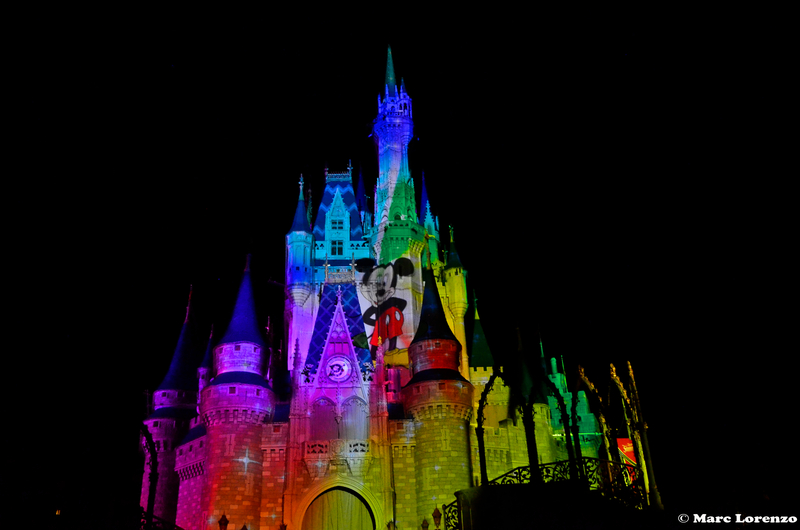 A few years ago while on a fireworks voyage with several Disney Mom’s Panelists, the Cast Member pointed out a little known fact about this resort: It was built into the shape of a bear. We learned that the shadows cast by the roof structure were designed to resemble a bear. 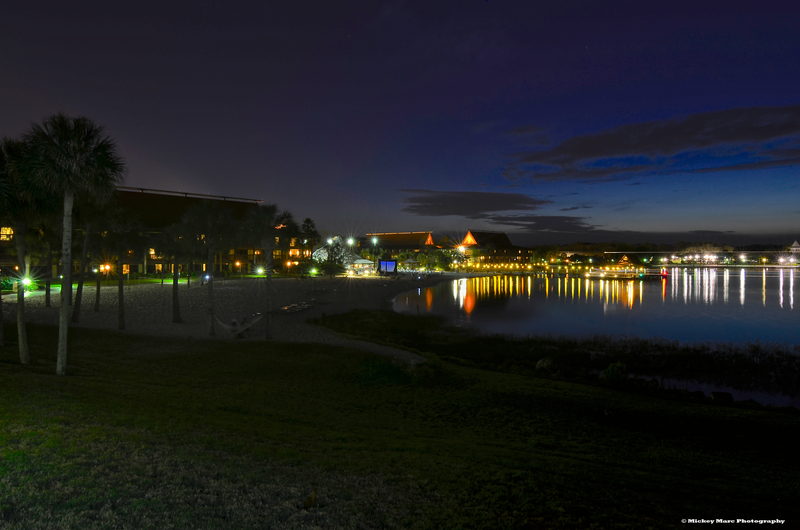 This is easily identified when you view the Wilderness Lodge from the vantage point of Bay Lake. 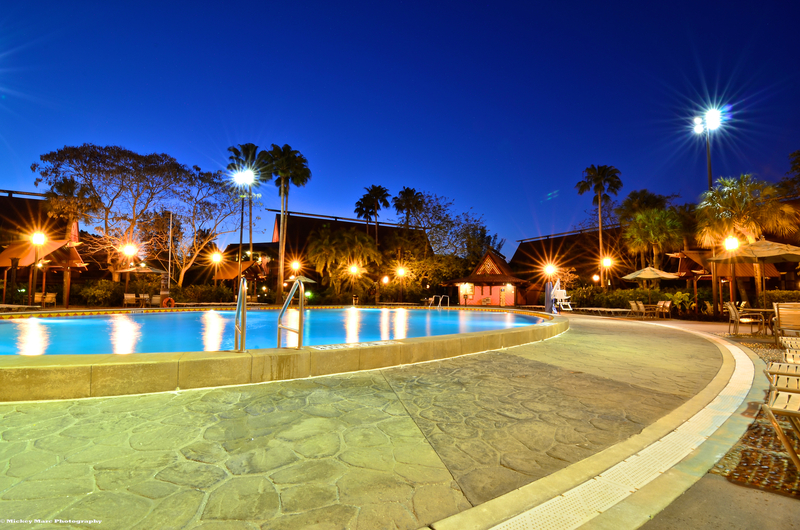 Look closely at the center of the resort in this photo and you will see what many claim is a nod to Disney’s Humphrey the Bear. 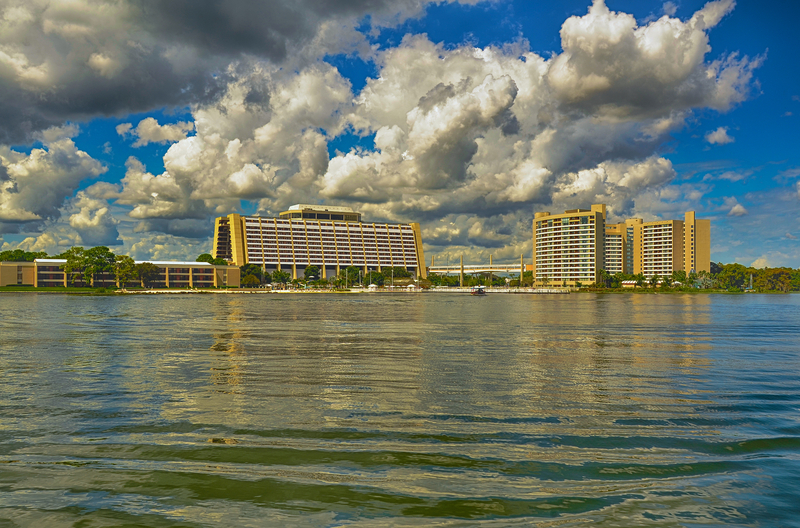 Today Marc shares a fantastic photo of Disney’s Contemporary Resort and Bay Lake Tower. I’ve stayed in both of these resorts several times and the location is hard to beat. Having the option of walking to the Magic Kingdom is phenomenal. 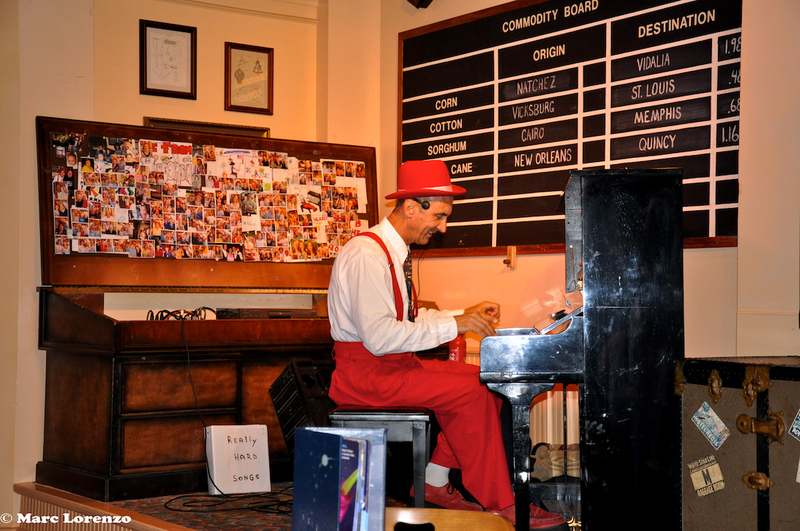 If you haven’t seen YeHaa Bob at Disney’s Port Orleans Riverside Resort, be sure to add his show to your “must see” list for your next Walt Disney World vacation! You will want to check the schedule on his website for show times and plan to arrive early. 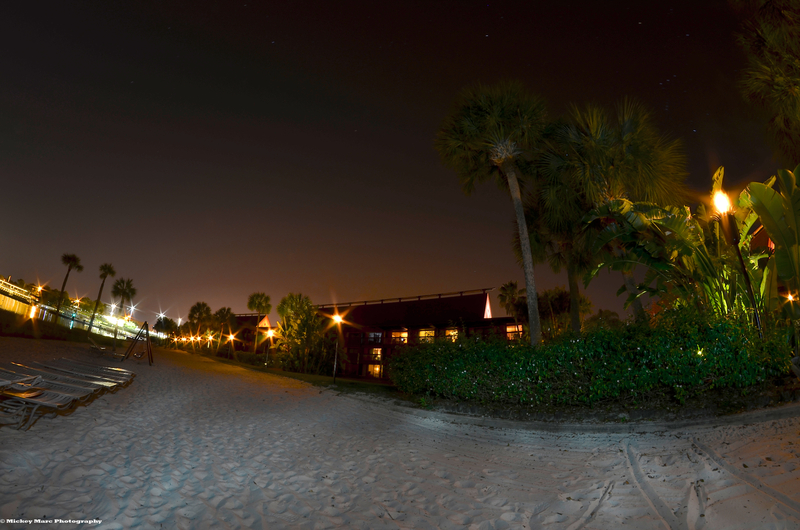 You can purchase Marc’s photos on his website: Mickey Marc Photography . If you use the Code NEWCUSTOMER at check out then you will save 10% off your entire order!